Mexico is a land of dazzling landscapes. From the jungles of Chiapas to the deserts of Sonora, from the freezing 18,500-foot peak of Orizaba to the tortilla-flat Yucatán, from forests filled with butterflies to the underwater abundance surrounding Baja California, Mexico’s ecosystems are easily as diverse and wondrous as those of its northern neighbor. But there is one landscape I had long wanted to see more than any other—the cloud forest. I’d seen photographs: bizarre and hypnotic places, worlds of mist and mystery, haunted landscapes forever cloaked in fog and secrets. Places where, if you allowed your mind to drift, you could easily imagine trolls and forest sprites wandering under primordial boughs. And yet, beyond these forests’ appearance, I couldn’t really say much about them. Year after year, I tell myself I will visit the fireflies of Tlaxcala, climb Orizaba and see the cloud forest during the rainy season—and each year, I run out of time. This year, determined to experience these fantastic foggy forests once and for all, I bought a ticket to the city of San Cristóbal de Las Casas, in Chiapas, for the beginning of the rainy season in May. What I learned shocked me. When it comes to this enchanting ecosystem, it seems I am not the only one running out of time. San Cristóbal, located at an elevation of 2,200 meters (7,200 feet), is perfectly situated for cloud forests, and was once famously surrounded by them. My plan is to explore the forest around Huitepec, an extinct volcano outside town, so I meet up with Paula Enriquez, a biologist at the nearby College of the Southern Border, and the two of us head up the mountain. A sharply intelligent woman with unruly black hair, Enriquez studies the population dynamics of cloud forest birds, especially owls. We begin our trek on a cloudy morning outside Huitepec Ecological Reserve and trace its border for half a mile or so. It’s not hard to spot the park boundary. To the left of the trail are stately trees and on the right is a clear-cut slope—forest that has been replaced by small-scale farming plots. Soon we notice the temperature drop a few degrees, and with a thrill I realize we have entered the cloud forest. Other than slightly chillier air, what strikes me is just how familiar this forest feels. Only a few miles away, the forests are jungles, thick with tropical trees squeezed together, competing for sunlight. But here, the canopy is a lush tapestry of beech, sycamore, oak and sweetgum—more reminiscent of Massachusetts than Mexico. Reach into the thick leaf litter on the ground and you might pull out an acorn the size of your fist. It’s simultaneously intimately familiar and bizarrely alien. )—staking out its breeding territory. Quetzals haven’t been seen here for decades, pushed out by encroaching development. “Here,” Enriquez says, “the question is: How will species be able to adapt to the changes? Some maybe will, but some maybe won’t.” She is talking about birds, but she might as well be speaking of the cloud forest itself. In fact, the forest surrounding this extinct volcano is all that’s left of the once-sprawling cloud forests of central Chiapas. Moss hangs from the branch of a typical cloud forest tree, Veracruz Mexico. Research students from Mexico&apos;s Institute for Ecology in Xalapa, Veracruz study trees replanted in an area of cloud forest once heavily deforested. At the top of a ridge, we look out over the landscape through a break in the trees, and I suddenly understand. The morning overcast has burned off and the day is hot—without a cloud in the sky. No fog-cloaked landscape, no forest trolls, no mysterious mists. The trees are there, as are some of the orchids and mosses. But no clouds. The combination of deforestation and urban heat emanating from the nearby city has pushed up temperatures in the area roughly two degrees Celsius—coincidentally, the same amount that scientists often say would be a catastrophic tipping point with global warming. Looking out over what used to be thousands of hectares of cloud forest, all we see is pine trees and farms. Cloud forests are unique ecosystems—throwbacks to the last ice age—that exist within a narrow band of physical and climatic conditions. They provide clean water for the cities below, as well as crucial habitat for dozens of critically threatened plants and animals. But studies suggest that climate change in this century alone will have devastating impacts on cloud forests—especially those at the northern extent of their range here in Mexico. Because of this, Mexican cloud forests have a great deal to teach us. Dependent on fog, which, in turn, is dependent on specific temperatures, these sensitive ecosystems are a window into what may happen to many habitats as the globe warms. So scientists are scrambling to understand not only the threats facing cloud forests but, more basically, how they function. What they’re finding could help preserve these forests—and offer a glimpse of what conservation may look like in an ever-warming world. The cloud forest&apos;s abundant forest litter provides habitat for insects and amphibians. Indian pipe (Monotropa uniflora) is a rare parasitic plant that is relatively abundant in the cloud forests of Veracruz. Seventeen thousand years ago, during the height of the last great ice age, glaciers and tundra covered the northern United States. To the south, boreal conifer forests stretched all the way down the eastern half of the country. And deciduous forest—those hardwoods that give Midwesterners and East Coasters the stupendous fall colors they enjoy today—was squeezed south, into Alabama, Texas, and down into Mexico. If you were to walk through the forests of Eastern Mexico during that time, it would have felt a lot like the Berkshires or the Ozarks today—with oaks, beech, and walnuts everywhere you looked. But it was not destined to stay that way. Over the next 10,000 years, a massive change in climate shattered these ecosystems, shifting everything northward and transforming the continent into what we recognize today. Ice and tundra retreated to Alaska and Canada, chased closely behind by dense conifer forests, while lush forests of oak, hickory, ash, and dozens of familiar American plants spread throughout the Eastern United States. Meanwhile, down in Mexico and Central America, anemic tropical forest came roaring back, flooding into the region like batter poured over a hot skillet, replacing the deciduous forest with jungle. The lowlands, now hot and moist, became home to vast rainforests of mahogany, ramón, and sapodilla, as well as orchids, bromeliads, and avocado. But a strange thing happened. Those ice-age deciduous forests didn’t disappear entirely. Instead, they retreated to the only places cool enough for them to resist the onslaught of invading tropical trees: high in the mountains. ), and dozens of tiny orchids—and have become crucial habitat and breeding grounds for hundreds of rare, endemic animals. Alarmingly, in a 2011 survey, scientists found that almost half of cloud forest tree species are in trouble, 15 percent critically so. Cloud forests are also important for humans. In addition to the forests’ branches, leaves, mosses, and epiphytes capturing moisture from clouds, they also play an active role in creating those clouds. Between the water in their roots and the water in the air, cloud forests are like giant reservoirs sprinkled across the mountains of Latin America and watering the lands far below. And the water coming out of these chilly forests is substantially cleaner than other reservoirs, because colder temperatures and less suspended material mean fewer parasites. But cloud forests have been vanishing across Latin America due to a number of human stressors, including encroaching coffee plantations, logging, and of course shifting climates. And because of their specific niche, biologists often describe them as one of the terrestrial ecosystems most vulnerable to an ever-warming world. To better understand what is happening to Mexican cloud forests, I needed some additional expert perspective. About 550 kilometers (340 miles) northwest of San Cristóbal is the city of Xalapa, Veracruz, once similarly enshrouded in perennial fog. Here, just outside town, tucked in a dense jungle valley, is the National Institute for Ecology, one of Mexico’s leading research centers and one of the best places to study cloud forests. With her tribal necklace, nose ring and fleece vest, Toledo has an undeniable granola charm coupled with a deep-seated sense of optimism. She and her colleagues are trying to ask two simple questions: What constitutes a cloud forest? And how will they adapt if climate change moves their clouds? Her office is smack in the middle of the 900-meter (3,000-foot) elevation band preferred by cloud forests, yet she says that only about 10 percent of the cloud forests from this region remain. Meanwhile, the city that was once steeped in mist and fog for 240 days per year now sees only about 70. 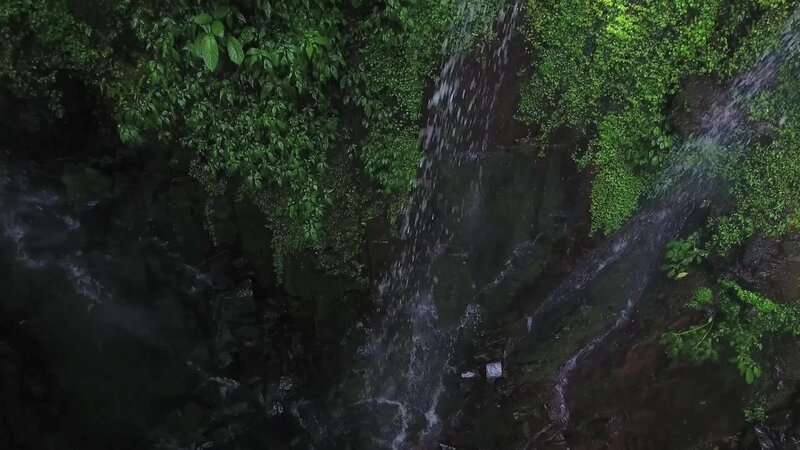 This waterfall in Veracruz, Mexico illustrates the role that cloud forests play in producing fresh water for communities downslope. Ferns, which are plentiful in Veracruz&apos;s cloud forests, are regularly harvested for flower arrangements. Locals collect beans from this native cloud-forest plant and cook them with onions and cilantro. Campesinos take a pig to slaughter for a baptismal party in the town of El Zapotal, Veracruz. Not all of this dry, hot weather is due to global climate change. The clouds that envelope the slopes of these mountains are fed by the Gulf of Mexico, 55 kilometers (34 miles) away. Moist air travels across the flatlands and condenses into clouds as it travels up the foothills of Pico de Orizaba, the fourth largest mountain in North America. But over the years, the land between the Gulf and the mountains has been cleared for farms and housing. This landscape is drier than the lowland forest once was, so now, by the time the air reaches the mountains, much of its moisture is gone, and what remains condenses only at higher, colder climes. Many of the cloud forests here simply don’t see the clouds that once helped sustain them. Just as in San Cristóbal, these drier, warmer conditions are a preview of what the world will look like in a future with higher CO2 levels—and this is an excellent place to study that future. To learn what exactly these changing conditions will mean for cloud forests, we follow a group of Toledo’s students into the mountains outside of Xalapa. Again, the day is hot and the forest is dry. It’s more than a month into rainy season and we should be drenched by cool mist by now—but the cloud layer sits stubbornly thousands of feet above us. Based on a map by the Comisión Nacional para el Conocimiento y Uso de la Biodiversidad (CONABIO) (Toledo-Aceves et al. 2011). The forest around us is covered in beech, walnut, and especially oak. If I didn’t know better, I might think I had been transported from Mexico to the Ozarks of Southern Illinois. Of the 150 species of oak in Mexico, almost half of them live in cloud forests. Yet Toledo and her students can see this forest is deeply troubled. For one thing, there aren’t many saplings in the understory. Plenty of brush but no young trees. “The animals that we saw before aren’t there,” says Federico Escobar, an expert in cloud forest invertebrates at the Institute who has been revisiting sites that were last surveyed in 1995, and is documenting the changes. Tillandsia imperialis is a common cloud forest epiphyte that is often used by locals in the construction of arches that decorate churches during religious festivities. Research student Juan Manuel Diaz Garcia searches a cloud forest stream for amphibians.
) of Veracruz, was considered extinct as of 2008. And this is where research at the Institute gets interesting. Cloud forests might eventually follow the clouds up the mountainsides. But how will the forests form? Which trees will go first? And how can we help them? In many ways, Toledo and her colleagues are trying to create a recipe for recreating and maintaining cloud forests. Which is tougher than it sounds. Depending on elevation, moisture, and temperature, it’s not clear why a walnut might do well in one spot while an oak will thrive in another. She and Sosa have several research plots that snake up the sides of the mountain, where they have planted hundreds of native trees that are in decline elsewhere to understand which trees will thrive at which elevations. Although listed as near-threatened, this tree frog (Ecnomiohyla miotympanum) is relatively common in the cloud forests around Veracruz, Mexico. The Townsend&apos;s salamander (Parvimolge townsendi) is a critically endangered amphibian found in Mexico’s cloud forests. The species was thought to be extinct, until it was rediscovered by biologists from the National Institute for Ecology in Xalapa, Veracruz. Scientists have found that with this sort of facilitated restoration—where humans nudge certain species ahead in the right environment—cloud forests can come quickly back. Guadalupe Williams, who has been a pioneer in cloud forest restoration for decades, planted an experimental forest on the Institute’s grounds 15 years ago, on land whose original forest had been cut down and left fallow decades before. With a little maintenance, today it’s a young but lush, vibrant cloud forest, despite the lack of clouds. Williams, who is thin and lively, with exuberant, often erratic mannerisms, is a passionate advocate for the return of the cloud forests. Walking into the experimental forest with her, with stately ash growing alongside a bubbly little stream, it was almost impossible to recognize how it could have been a farm field just a few decades before. This is the real crux with climate change, not only in cloud forests, but in ecosystems around the world. It’s not the changing climate alone that will drive species to extinction—it’s the combination of that with centuries of mismanagement by humans. Here in Mexico, the primary culprits are coffee plantations, which covet the same chilly high altitude soils as cloud forests. And the lands above the cloud forests aren’t exactly vacant, either. 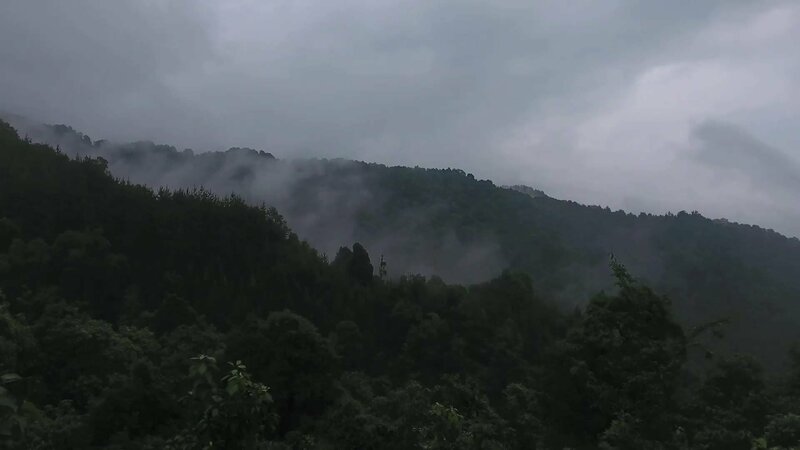 If the cloud forests migrate uphill, they will quickly come into conflict with potato farmers, who plant their crops in the higher, chillier terrain. So the race is on. Can we preserve enough of the cloud forest and give it enough space to move so that it can adjust to an uncertain future? Can an ephemeral ecosystem squeezed between coffee and potatoes find a slice of space inside the cloud layer? Maybe. Many of the local coffee plantations have switched over to more sustainable “shade coffee” that is grown under the canopy of local trees. Research suggests that as much as 84 percent of cloud forest species can live in such coffee plantations. Likewise, biologists have found pockets of cloud forest creatures like pink-headed warblers and even quetzals living in unusual habitats downslope from cloud forests, perhaps waiting for a time when they can return to the chilly boughs of their traditional habitats. Sosa has tracked similar remnant groups of bats, and a few years ago an amphibian expert at the Institute named Eduardo Pineda made a remarkable discovery. He was working in a forest not far from Xalapa when he flipped over a patch of leaves to expose a small, unremarkable salamander crawling in the cool damp below. With a shock, he realized it was a Townsend’s salamander, a creature that—until that very moment—was considered extinct. Since then, he has found dozens of them, and several even wander the leaf litter outside his office at the Institute. “They are still there,” he says. Sometimes you just have to know where to look. A blue-crowned motmot (Momotus momota) seeks shelter from the rain in the lower branches of a cloud forest tree near Xalapa, Veracruz. Brightly colored velvet mites (Trombidiidae) like this one emerge from the forest litter after a rain to hunt for other small invertebrates. Walking out of the Institute of Ecology in Xalapa, I’m not sure what to think about the future of this ancient and fascinating habitat. These forests have survived some of the most profound climatic pivots in the history of our planet. Yet it may be tough for our grandchildren to find a true cloud forest in 50 years. It’s hard enough for me to find one now, in the heart of what should be the rainy season. Before I leave Xalapa, I take one more trip into the cloud forest, searching for that classic moment where the thick layer of fog lifts off the rich green hillside and the world is muffled in a cloudy blanket. This time, it’s with Sendas A.C., a cooperative created through local indigenous communities that promotes ecotourism as a way to preserve the forest. Our guide is Angel Morales Gabriel, an enthusiastic lover of all things cloud forest, and his more subdued uncle, Pedro. They maintain an excellent series of pathways through the forest, complete with benches and shelters for taking a load off. But the region has been plagued by drug violence, and we are only the second clients they’ve had in six months.
) scolding us from the trees. A fine mist falls just at the treetops. We reach the ridge and find a glorious break in the trees. Down the valley we can see ancient oaks and beech trees transition to pines and eventually to coffee plantations. Beyond is the horizon—and a glorious sun rising to light the whole valley in a vibrant green. It’s going to be another beautiful, clear day. Writer Erik Vance treks into the cloud forest near El Zapotal, Veracruz. Sally Rios Kuri contributed to the reporting of this story. Erik Vance is a native Bay Area writer replanted in Mexico as a non-native species. 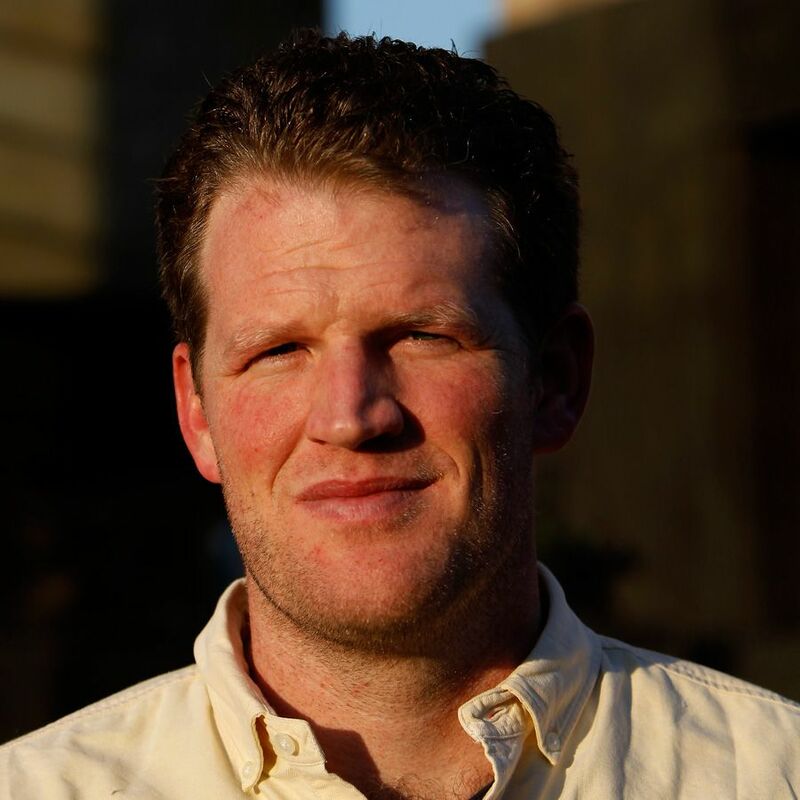 He has written for The New York Times, Nature, Scientific American, Harper’s, National Geographic, and a number of other local and national outlets. His first book, Suggestible You, about how the mind and body continually twist and shape our realities will be published in November 2016. Dominic Bracco II is a photographer, visual artist, playwright, and journalist. 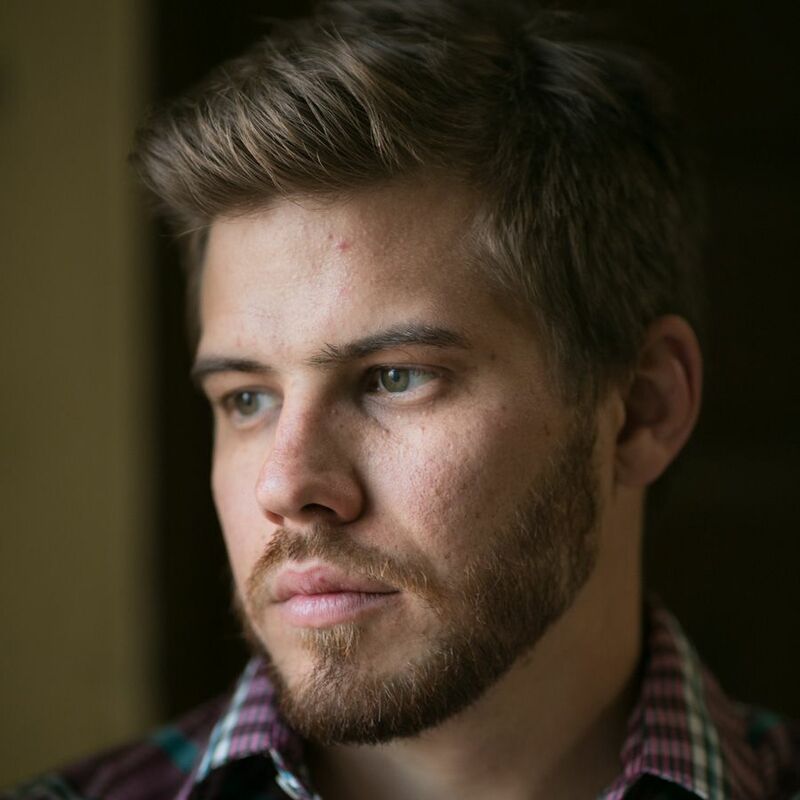 He is a recipient of a W. Eugene Smith fellowship and a Tim Hetherington Visionary Award. His work has appeared in National Geographic Magazine, the New York Times Magazine, among others. He is a member of the photography collective Prime. Bracco lives in Mexico City. By feasting on tropical fruits—and later dispersing the seeds—this canopy-dwelling bird helps to ensure the survival of its cloud forest home.